We created the first website for Path of Life years ago and they have been a partner ever since. Path of life has grown tremendously in that time and decided to rebrand the company and website to keep up with it's growth. 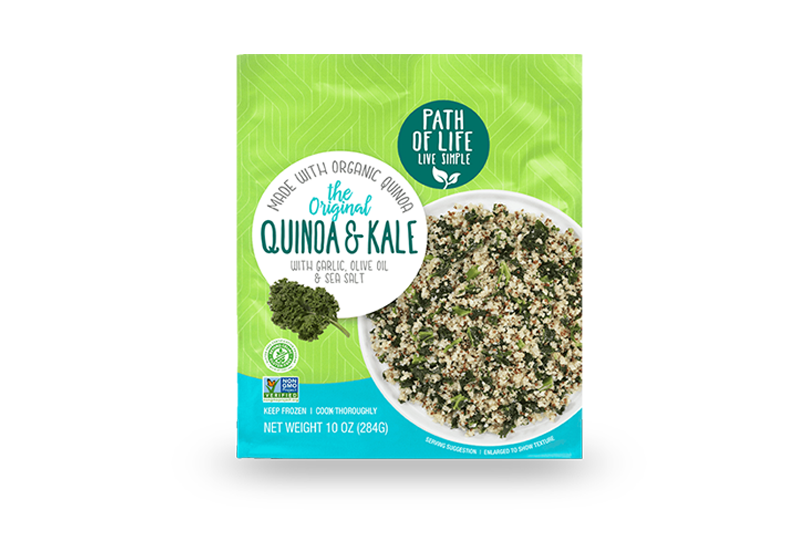 Path of Life’s products are made using simple ingredients to provide natural, healthy, and delicious products. With this in mind we utilized images of ingredients across the website to get this point across. The result is a website that looks just as simple, while reflecting the new brand and packaging. The design is simple. The functionality is robust. To help users find exactly what they want, we developed a dynamic filtering functionality for Path of Life’s recipe page. This means you can filter recipes by multiple elements such as category, product, and even difficulty. Did we mention all of this filtering takes place without loading a new page? Yup. Went it came to the store locator, Path of Life wanted their customers to be able to find the exact product they want. We accomplished this by letting users not only find the closest store with Path of Life products near them, but also let them search these stores to see if they have the product they are looking for. Sparkle Squad is a new cleaning company which asked us to put their vision to life: branding, website, and complete company image. Chitown Trainer is an on-site personal training company based out of Chicago. This emerging company asked Kreate to design a website along with complete company branding that would be user-friendly, informative, and stylish. Their idea was solid. All we did was make it shiny. Made it all the way to the footer, huh? Don’t be shy, send us a message. We’re already excited to hear what you have to say!